Check out Keeping in Touch in the NEWS! Examiner.com features Keeping In Touch Bodywork & Massage Therapies as the "Best kept secret to serenity in Bucks County!" 2012 Women in History Month of March Features Barbara Panno of Keeping in Touch Bodywork & Massage Therapies. 2012 "Best of Bucks" Contest sees Keeping In Touch Bodywork & Massage Therapies as a Finalist! 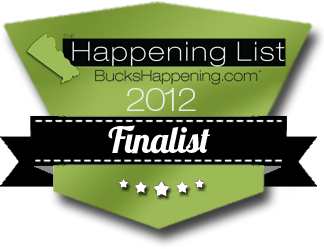 To see a complete list of nominees and finalist's, please visit http://www.buckshappening.com/happening-list-results-bucks.